Zandra Productions and South Saskatchewan Music Productions present Hypocrisy and Fleshgod Apocalypse. Over a quarter of a century, the Swedish trio Hypocrisy have been innovating in the realm of death, bringing in influences from modern rock 'n' roll and punk-rock while touring the world incesssantly. Their 12th album, End of Disclosure, came out in 2013. 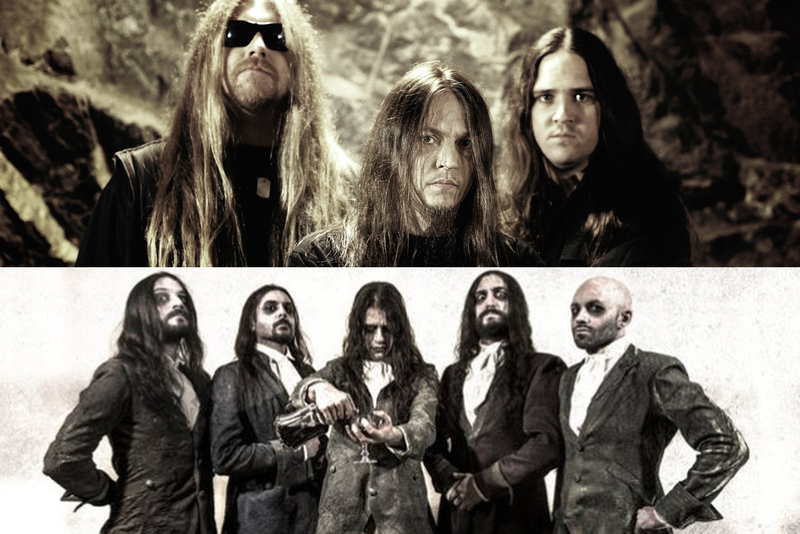 Italian group Fleshgod Apocalypse blend technical death metal with symphonic elements, a mix that's quickly made them a favourite with fans and critics alike. Their fourth album, King, came out in 2016. California deathcore group Aenimus, Regina metal group Seeping Beauty, and special guests open. Doors at 7 p.m. Advance tickets are $30 and will be available at Vintage Vinyl, Madame Yes, and online. Find online tickets above. Tickets available at the door barring a sell-out. All ages and licensed. Visit Hypocrisy's website, Facebook page, and Twitter feed. Visit Fleshgod Apocalypse's website, Facebook page, and Twitter feed.